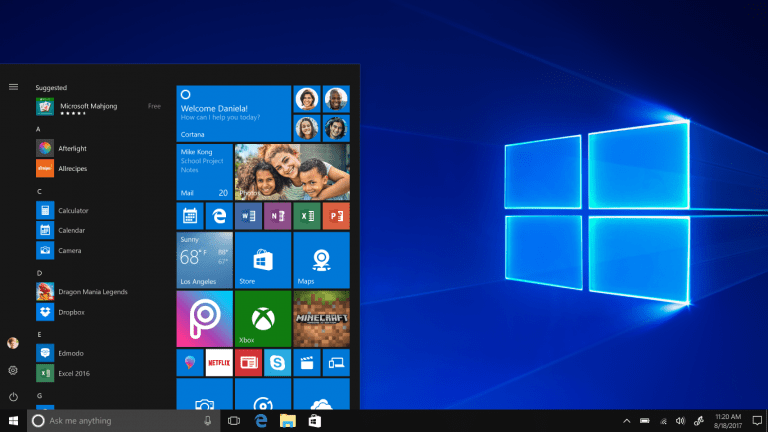 Windows 10 has some nifty hidden gems that when unlocked are awesome. This can save you time, help you achieve more in a sitting, or get on to finish other things. The little things surely add up to much. Let’s move right up into it as I share a few things I’ve been using and doing that helps me a lot. Scroll: Place two fingers on the touchpad and slide horizontally or vertically. Zoom in or out: Place two fingers on the touchpad and pinch in or stretch out. Right click: Tap the touchpad with two fingers, or press in the lower-right corner. See all open windows: Place three fingers on the touchpad and swipe them away from you. Show the desktop: Place three fingers on the touchpad and swipe them towards yourself. Switch between open windows: Place three fingers on the touchpad and swipe right or left. Open Cortana: Tap three fingers on the touchpad. Open action center: Tap four fingers on the touchpad. Switch virtual desktops: Place four fingers on the touchpad and swipe right or left. NB: Some of these gestures will only work with precision touchpads, so don’t fret if a move won’t work for you. With the Windows 10 April 2018 Update you can easily resume what you had been working on. Get back to something you were doing recently by finding it in your timeline. Timeline list your recent activities in a tile mode making it easy to find and jump right into what you had been doing. To open your timeline, select Task View on the taskbar, or press Windows logo key + Tab. Scroll down until you find the thing you want to return to, and then click it to pick up right where you left off. Have you been typing an email, document, blog post, etc. and wanted to really express yourself with an emoji? Well, good news. 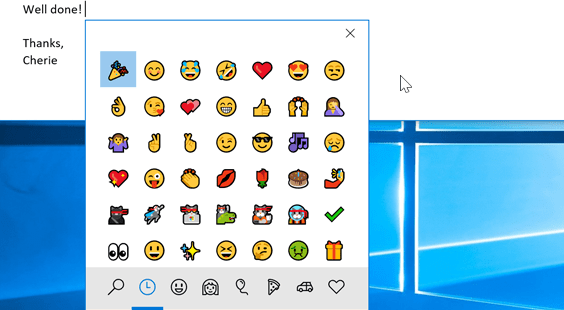 Microsoft has an emoji keyboard but doesn’t pop up till you trigger it. You can express yourself however and wherever you want. Just press the Windows logo key + period (.) to open an emoji panel and voila you are good to emoji, lol 😊🤣😂👌. Ever had to write some details down? Maybe a telephone number, an address or name of a person or place? Don’t get off your PC to find a pen or notepad. Just open the sticky note app and note it down. Go to Start or the Windows Ink Workspace, select Sticky Notes and create reminders for yourself. To make a new note, select Add Note, then use the pen to jot it down or type it down. It’s also interactive and works with your calendar and mail. For this you’ll need to be running the Windows 10 April 2018 Update (1803). This update brings with it the nearby sharing feature using Bluetooth or Wifi to transfer files between PCs. You must make sure the nearby sharing feature is turned on at the notifications icons. Here is an example say you want to share a photo. Open Photos and select the picture you want to share. Select Share, then select the PC you want to share it to. On the other PC, select Save & Open when the notification appears. Et voila, bye, bye to looking for pen drive to transfer files. Did you know about these tips? Are there others you’ve unlocked? Share with us.